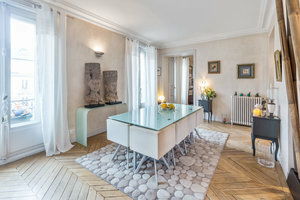 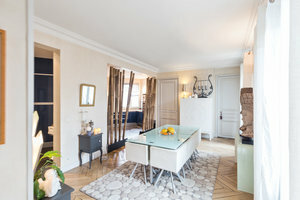 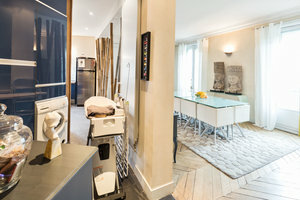 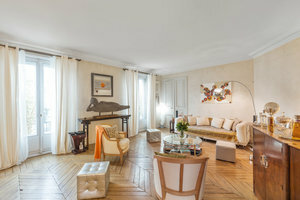 Situated only 10 minutes walk from Parc Monceau, this sublime apartment is an excellent location for brands to host a Product Launch, a Showroom or a Photoshoot. 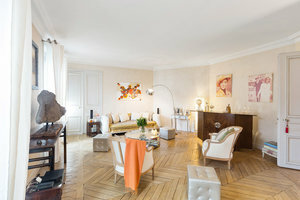 Housed in a classic building with a private entrance, this space is elegant with a sophisticated ambience. 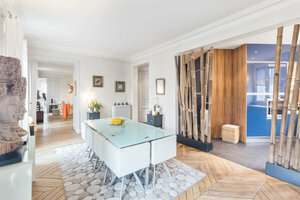 This premium retail space has a creative feel with extensive French doors which allow plenty of natural light into the space, creating bright ambience. 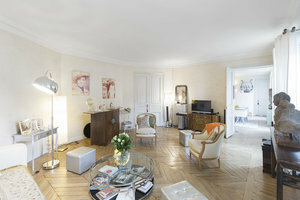 The interiors are contemporary with white walls and herringbone parquet flooring giving the space a modern feel. 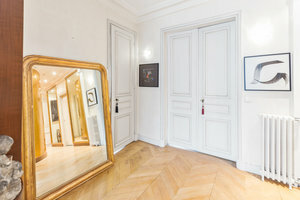 With limited amenities, this beautiful apartment is a blank canvas ideal for artists and brands to curate their ideal pop-up exhibition.